Sponsored by the LINBIT Company, the Distributed Replicated Block Device (DRDB) is the world’s fastest software-based solution for replicating block storage devices. 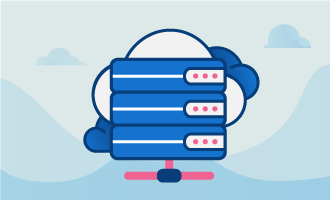 In the information age, being able to manage and provision data storage are the most fundamental keys to success, whether data is stored in the cloud, on hard drives, or on server farms. The latest release of DRDB, version 9, provides fast access and high reliability in a cost-effective platform. 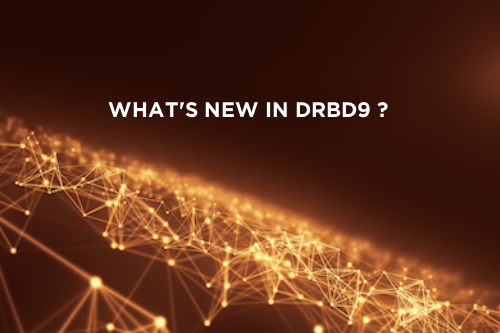 What’s new in DRBD9 ? DRDB9 seamlessly mirrors blocks of data between hosts transparently and in real time. DRDB9’s core functionality is implemented as a LINUX kernel module. It is an open stack, so it runs on commodity hardware and it mirrors storage in such a way that the applications need not be aware that data is stored on multiple hosts. 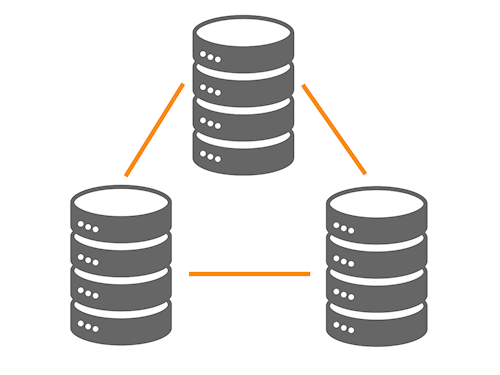 DRDB9 supports replicating data across more than two nodes, and nodes can be implemented on a single level. That means using DRDB as a data client is possible. It is possible to store data simultaneously on more than two cluster nodes (up to sixteen nodes). This offers more than two-way redundancy. DRDB9 can be configured to do the primary-to-secondary role switch automatically on demand with the new “auto-promote” feature. The replication protocol can also be switched from normal, synchronous mode to asynchronous mode per connection on demand. One advantage of this feature is that in the case of a temporary failure of all network links between cluster nodes, possibly due to intervention by cluster management software or human error, both nodes can be switched to the primary role while disconnected. DRDB9 replication and synchronization framework socket layer supports several low-level transport protocols, including TCP over IP (both versions 4 and 6), SDP and SuperSockets. DRDB9 has significantly improved performance for I/O operations/second for random writes. On some hardware platforms it is two orders of magnitude faster than earlier versions of DRDB. DRDB9 has also improved the efficiency of synchronization operations. DRDB9’s on-line device verification feature enables users to do block-by-block data integrity check between nodes in a very efficient manner. DRDB9 has also added a number of error detection features, including “split brain” notification. In this situation, both nodes are running in primary mode but the data is not synchronized. A warning will be issued, and the operator given the opportunity to manually choose which node will recover the data transfers and which will be discarded (unless DRDB has been configured to automatically recover from a split brain error). Also, the number of configurable DRDB devices has been increased from 255 to 1.048,576. DRDB9 offers a number of enhancements over earlier versions of DRDB, including robust configuration options, asynchronous and synchronous communication, multiple redundancy configurations, multiple transport platforms, improved error detection, more flexible error recovery options, support for larger networks and greatly increased performance.